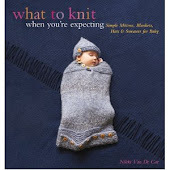 What To Knit When You're Expecting: Photos! No, there are no photos in this post, because the photos I'm referring to are the first shots I've received from the publisher of What To Knit For Tots or whatever it shall be called. And they are beautiful! Oh my. I wish I could post them all right here, I'm so excited. I'll just have to make poor Dave admire them for an hour or two tonight. 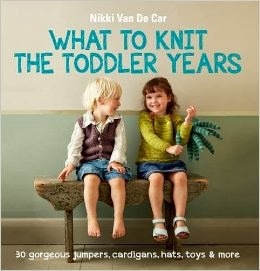 The mood of this book is slightly different from the also-amazingly-gorgeous What To Knit. Since the kiddos being knit for are able to, you know, get up and walk around and generally create mayhem, the amazing folks over at Kyle Books are trying to document mayhem. Just the kind of beautiful and picturesque and sweet and funny mayhem that we all wish we had on our best days. My beautiful and mayhem-producing toddler has just woken up waaaaay before she was ready so our house is not so picturesque. I think I'll go make her a sandwich and sow her some pretty pictures. "Willow, my love, these delightful children always nap for at least two hours..."